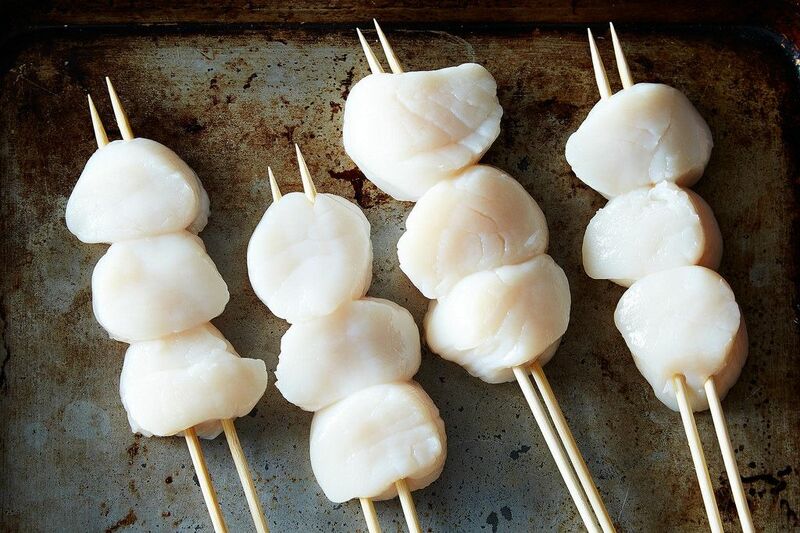 Today: Adam Geringer-Dunn, co-owner and executive chef of Greenpoint Fish & Lobster Co., offers a few tips for grilling more gills. Picture this: a warm summer evening, the sun just beginning to set, and you and your friends are on the deck (or patio, or rooftop) sipping cocktails and mingling. The table is covered in bowls full of salad and fruit, and in the corner, a charcoal grill is going strong. But instead of heavy hamburgers or steaks, there's a beautiful whole sea bass or attractive skewers of shrimp and vegetables cooking away. Grilling fish is a wonderful outdoor alternative to regular barbecue fare; it's faster and lighter, and it can also make a gorgeous focal point for a summer soirée. 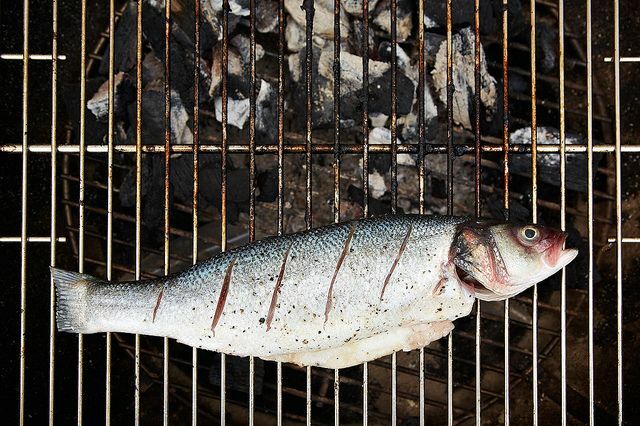 What makes grilling fish so well-suited to parties is that it's a group experience—no one is imprisoned in the kitchen while guests talk in another room. Grilling fish whole is great for parties—it's an impressive presentation served family-style. I often grill black sea bass, striped bass, or bluefish rubbed with achiote paste, and serve it with tortillas and toppings so that everyone can make their own tacos. 2. Grill it in banana leaf. Grilling fish in a banana leaf really keeps it together, so you can use filets or whole fish (and even a more delicate variety, like snapper). It also keeps the fish really moist. These days, banana leaves are pretty easily accessible at most specialty or Asian markets. Wrap the fish with some fresh vegetables, fruit, and herbs then, similar to en papillote (or in parchment), the fish is steamed with a bunch of great flavors while also taking on the smokiness from the grill. 3. Sear it on top of a charcoal chimney. 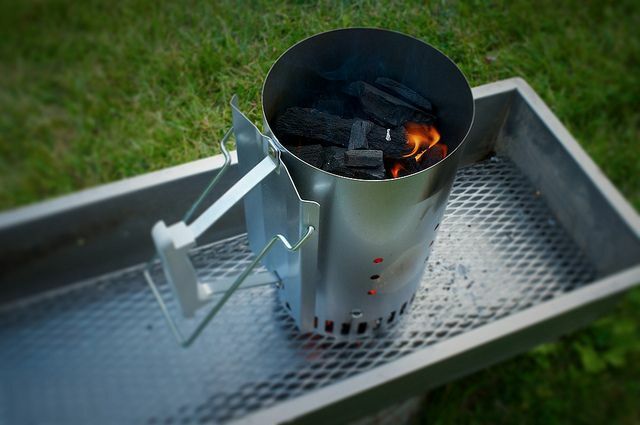 Most grills can't get hot enough to give a strong sear, but I recently started using a charcoal chimney starter with a mesh grate on top to get a hard sear on filets. Because the chimney is so much hotter, you can grill a lot faster, and that's a blessing if you are preparing food for a lot of people. If you are looking to feed guests before the main course, you can toss a few ounces of tuna on the starter before using the actual grill—it'll only take 30 seconds for each piece to cook. 4. Grill it on a wood plank. Cedar and alder are my favorite types of wood planks for grilling. 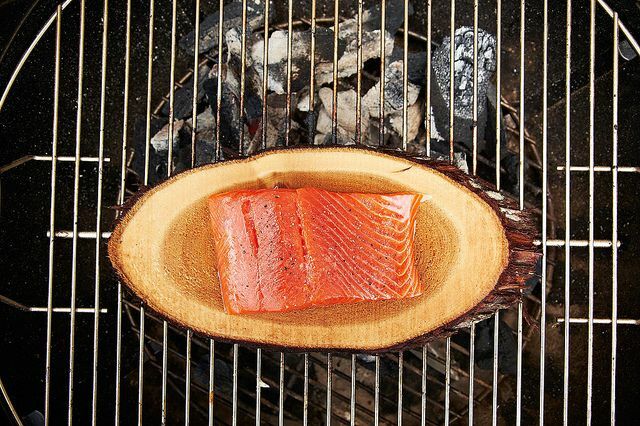 Cedar is a classic, and good to use when grilling salmon or a strongly flavored fish. Alder is better for lighter fish, like halibut. All you have to do is soak the wood plank for an hour or so to prevent burning and toss it on the grill. The moisture from the board will help steam the fish. It's also useful for cutting down on dishes—you can pull it directly off the grill and use it as a serving platter. 5. Stick it on skewers. DIY skewers are amazing for big parties. You can set up a station with swordfish, monkfish, or any other fish that is firm and going to hold up to the grill. Chop up fruits and vegetables like peppers, onions, mushrooms, pineapple, summer squash, and eggplant—just be sure everything is a similar size or shape—and lay out platters of each. Everyone can make their own skewers based on preference. Coat the skewers in olive oil, salt, pepper, and herbs before grilling. Using wood or metal skewers works, but if using wood, don’t forget to soak them for an hour or so prior to grilling. when i used to do a lot of entertaining, whole fish was a go-to family style appetizer-ish dish. salmon and snapper were my faves for grilling whole and i stuffed them with garlic, onion, herbs and seasonings, then wrapped them loosely in foil. nowadays, if it's fish, it's going on a wood plank (alder or cedar, mostly), which means it's no-brainer delicious no matter how hard i might try to fubar it. grilling fish on a wood plank (i got mine untreated from my local hardware store) is one of my fave new tricks. 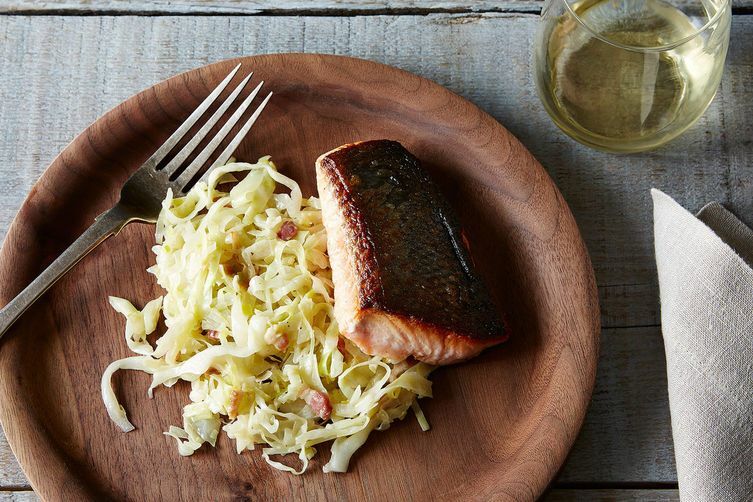 it gives the fish a deliciously smoky undertone, without being overbearing.